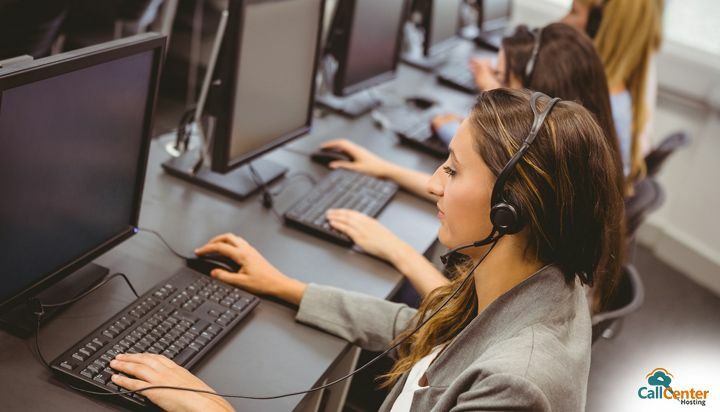 Agents at outbound call-centers make calls to prospects and customers for selling products and services or for offering proactive customer service. Thus, the operations of outbound call centers include cross-selling, up-selling, debt collection, market research, and customer satisfaction surveys. To efficiently execute these tasks and to maximize the support for customers, the staff at call-center uses outbound call center software solution. It is crucial for every outbound call-center software solution to have built-in CRM applications. A solution that integrates with latest business tools, such as SugarCRM/Zoho CRM/Salesforce/Help Scout/Highrise/Nimble/Zendesk and others, enable the agents to access comprehensive data for all contacts on a single interface. This integration automates call routing and other tasks for call-center agents. Every call received by call center is tracked back to the record of the caller in CRM. An agent can easily view a customer’s detailed profile as well as previous voicemails, call-recordings, support-tickets, purchases in a single interface. Hence, agents get a 360-degree view of every interaction that happens. CRM integration, thus, enables agents to consolidate customer data and quickly provide a solution. This type of integration empowers an agent to access vital contact data whenever necessary. This feature is equally beneficial for inbound call center services. An efficient outbound call-center software solution enables agents to easily import and export the lists of customers, leads and prospects. This feature ensures that the built-in CRM and business tools always contain the real-time information. An efficient solution also enables the agents to quickly add labels to contacts, to export lists in ‘.csv’ format, and to upload multiple lists all at once. To maintain updated contact data, an efficient call-center software application synchronizes the data between different integrated business tools. Automatic synchronization also increases the efficiency of call-center agents, as it relieves them from manual updates. Call disposition codes enable a team of outbound call-center agents to effortlessly and efficiently update the contact data with the latest information immediately after a call ends. The call-disposition codes are assigned as per the outcome of a call. These descriptions help to assess the performance of call center by filtering call lists of same disposition. Hence, managers can track their calling campaigns and take appropriate actions based on the outcome of calls. Advanced outbound call center solutions allow agents to customize caller-ID as per the area-code for contacts. This feature can increase the efficiency and growth of an outbound team, as the potential customer is more likely to respond to calls with the local area codes. This feature increases the connection rate and the numbers of return calls. Click-to-Call feature in an outbound call-center software application can significantly increase a team’s efficiency. With this feature, the agents can click on a phone number and can place a call directly from a business tool. 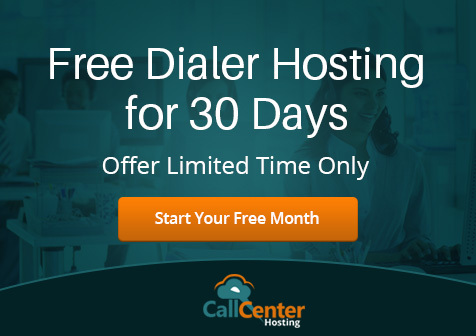 This feature offers comprehensive functionality of call-center software, such as IVR, waiting queues, call-recording, voicemails, advanced routing, and automated workflows. The ‘Click-to-Call’ feature enables outbound sales teams to call more leads daily that leads to an optimum number of closed deals and maximum revenue for a business. It also eliminates the chance of ‘dialing error’ that may happen due to manual dialing. To bring efficiency in tasks of call-center managers, a robust call-center software solution can record or monitor incoming and outgoing calls. With this feature, the call-center manager listens to live calls and suggest rebuttals to agents. Alternatively, the manager may barge-in a live conversation to assist an agent for resolving customer queries and issues. Call-center managers may replay calls recordings to identify pain points and train their team or discuss solutions during meetings. The call-monitoring and call-recording features are ideal for both outbound and inbound call center services. These tools are crucial to control the quality of calls or to optimize the performance of both call-center agents and managers. Historical and real-time reporting tools can improve the performance of the call-center staff. These tools enable the agents to get quick and easy access into large volumes of data. These tools enable a contact center to track the performance of agents, departments, campaigns or the entire company. With comprehensive reporting, it becomes simpler for a call-center team to make decisions based on valuable data that may leave a significantly positive impact on a team performance. These features of an outbound call center software solution can significantly improve the efficiency of agents and enable them to offer personalized service to each caller with easy access to detailed contact data in a single platform. Enhanced efficiency and productivity eventually decrease call center costs because lesser resources and time is needed to operate the call center and more efficiently. By integrating call center software with CRM applications, each call activity is directly stored in for better lead management and agents can determine the best time to call customers for a successful outcome. What Makes an IVR Great?